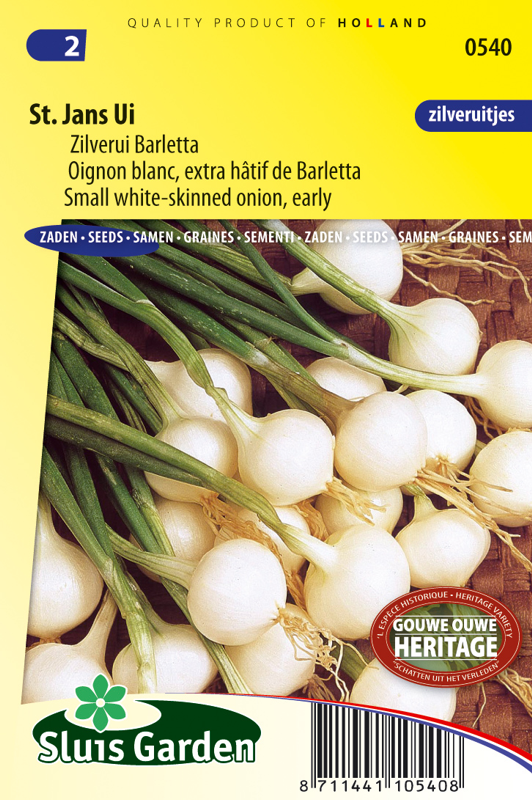 Small, white-skinned onions, also called pearl onions. 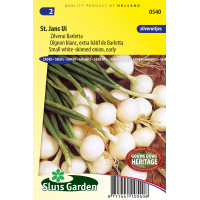 Sow thinly directly in the garden in rows (row distance 25 cm and plant distance 5 cm), and cover the seed well. Onion requires darkness to germinate. Keep the soil moist constantly. After emergence do not thin out too much. Lightly fertilize the soil, preferably with compost. Can already be harvested in early summer as the leaves begin to collapse and wither.